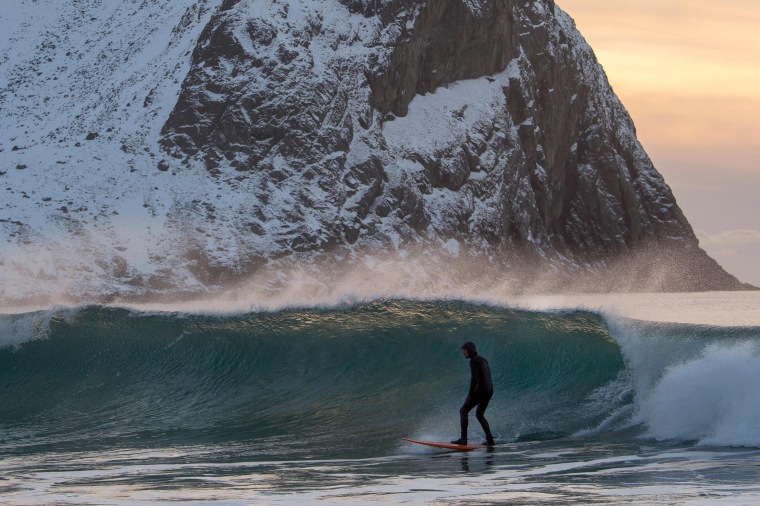 Extreme surfers visiting Norway's Lofoten islands catch waves in cold waters located within the Arctic Circle. 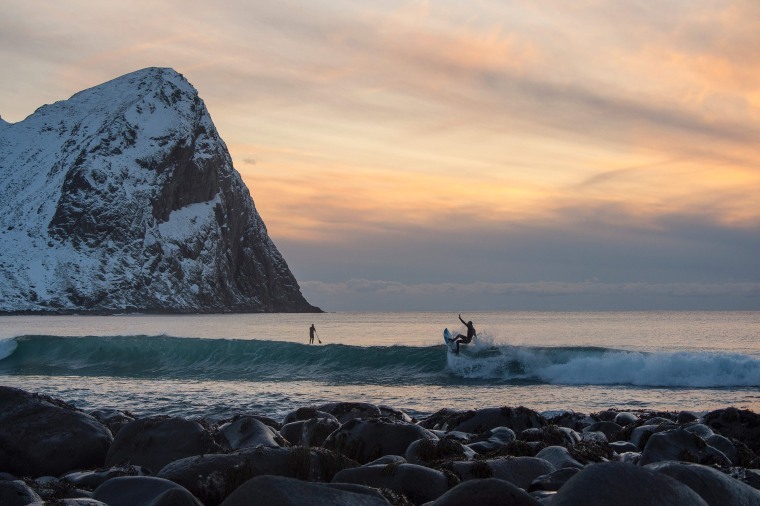 Once home to Vikings, surfers now flock to the chilly waters of Norway's Lofoten islands, located above the Arctic Circle. 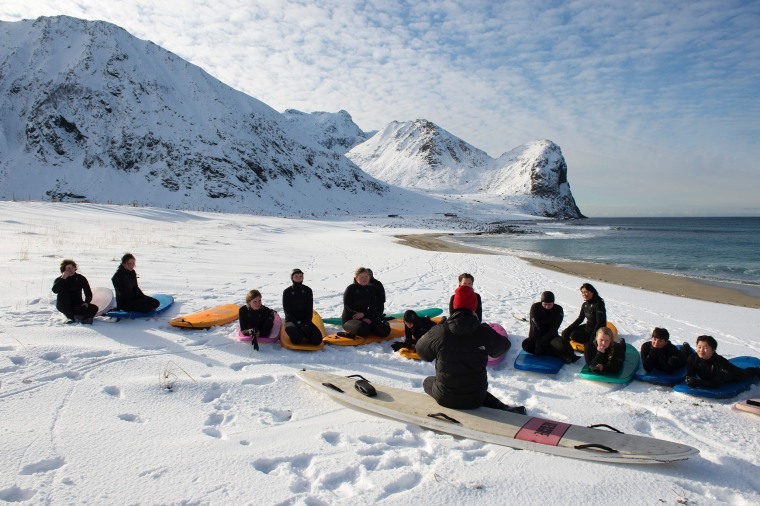 Above: Surf instructor Tommy Olsen monitors a group of beginners during their first course in Unstad on March 9, 2016. A group of beginner surfers head into the waters during their class on March 9. Water temperatures were around 42-45 degrees Fahrenheit. 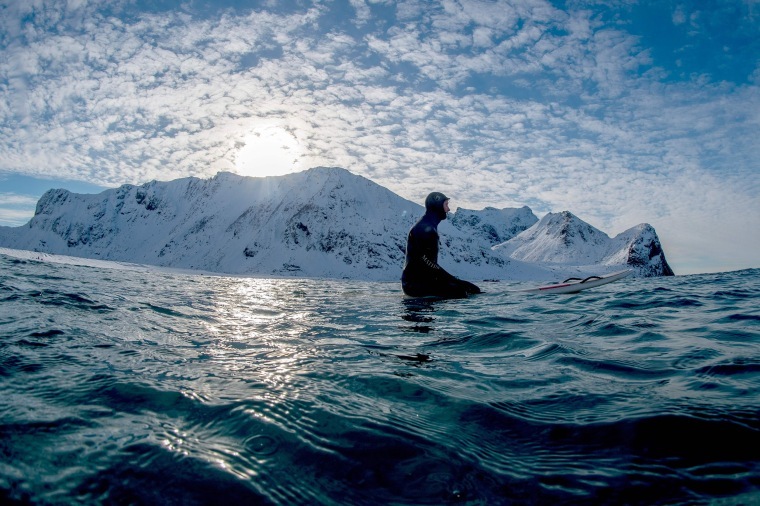 A surfer rides a wave in Unstad on March 9. 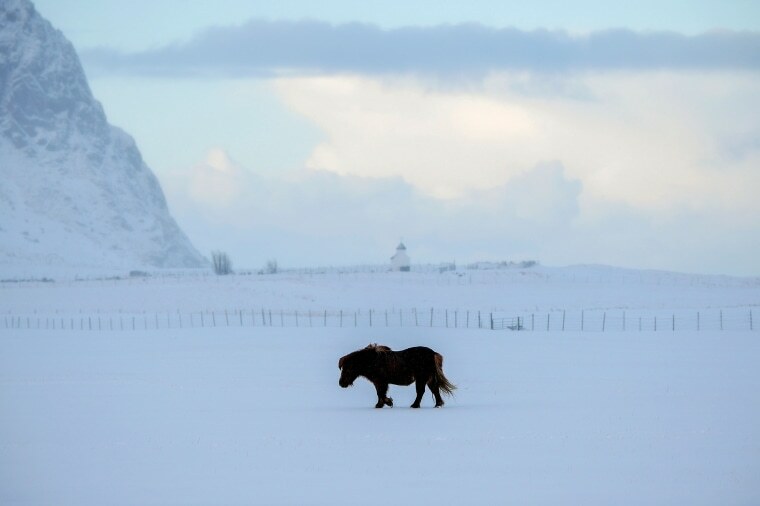 A pony walks through the bay in Unstad on March 8. 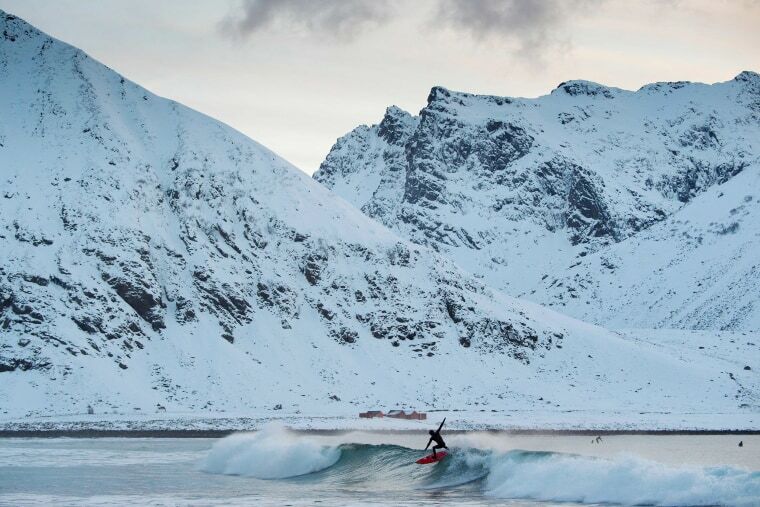 Snow covered mountains backdrop a surfer in Unstad on March 9. 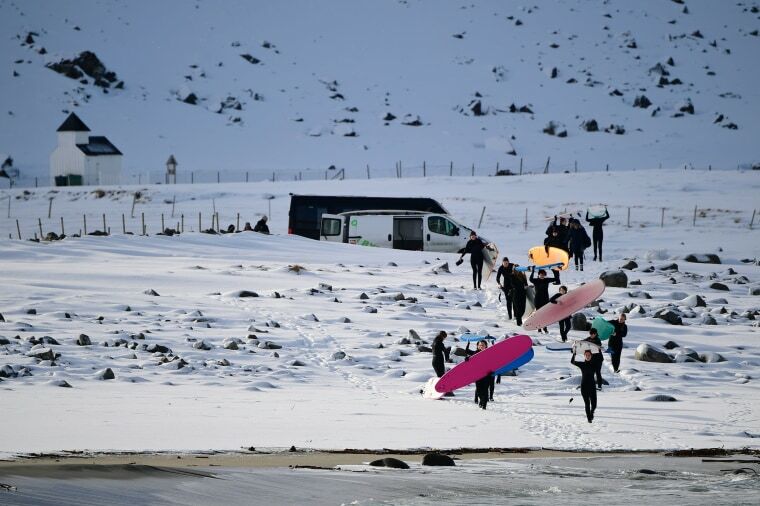 A group of beginner surfers from Norway sit on Unstad's snowy beach on March 9. 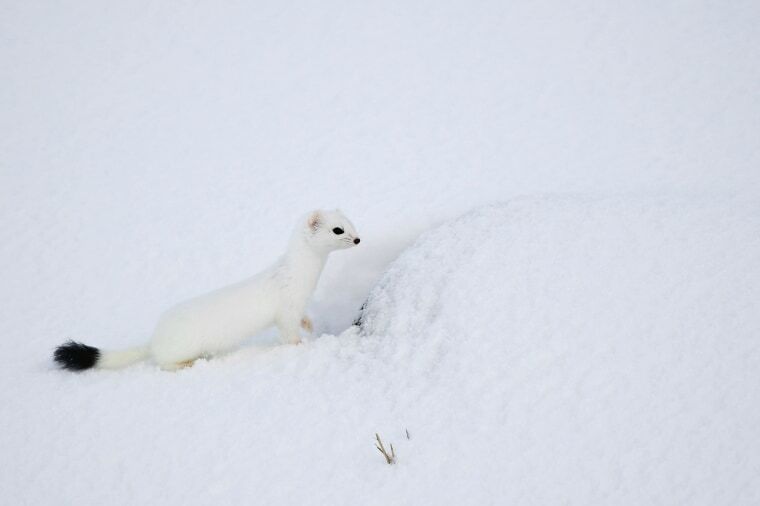 An arctic weasel stands on the beach in Unstad on March 8. 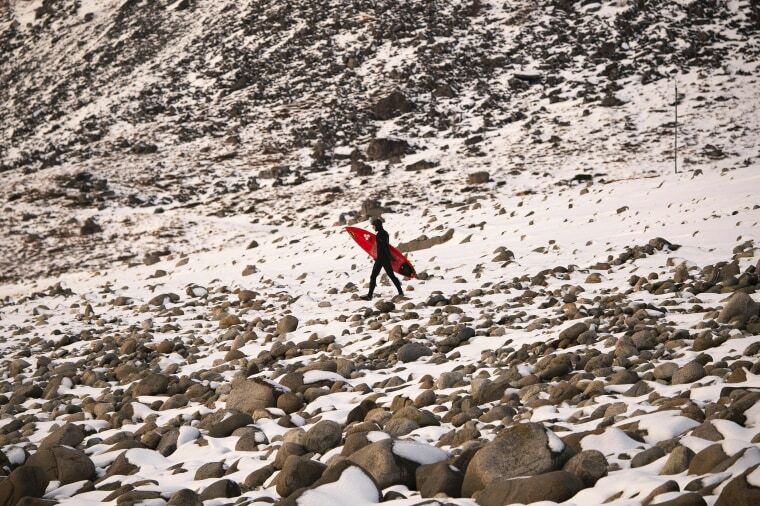 A surfer walks with his board along Unstad's beach on March 9. 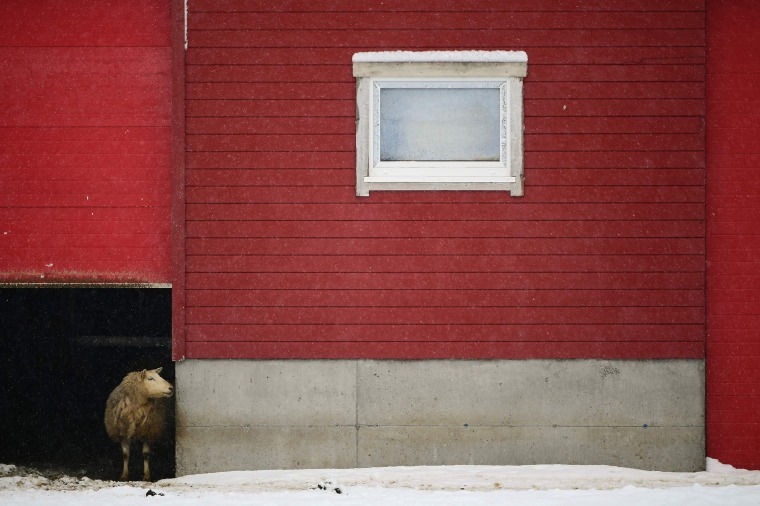 A sheep looks out of his shelter in the snowy bay of Unstad on March 8. 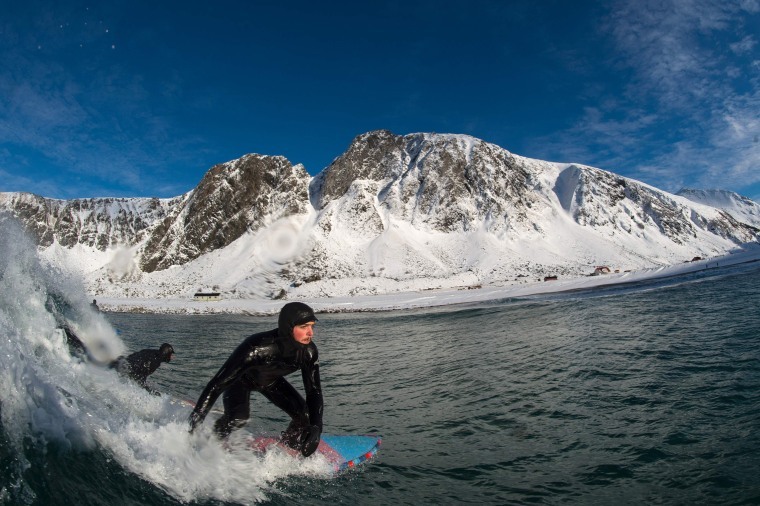 A surfer rides a wave at the snowy beach of Unstad on March 9.